I became involved in Kulanu because I believe strongly that Jews should support communities that are struggling to claim or reclaim their Jewish identities all over the world. I appreciate diversity: I was born and raised in Scotland, and still play the bagpipes. I also spend a significant part of each year in Israel. Having lived among different cultures, I am sensitive to the differences and similarities that affect our daily lives. I am excited about Kulanu’s work in supporting communities practising their Judaism in very different cultural contexts. My interest in Kulanu stems from my involvement in issues of Jewish diversity since 2009. I bring to the Board of Directors over ten years of experience in public relations and in marketing. My work has made me familiar with using print media, radio, and television to get across a message, and I am eager to put those skills to work to tell Canadians about Kulanu and about the many Jewish communities around the world. Jewish culture and values have always been important to me. Having come from an immigrant family, I know firsthand the importance of community support. I’m so pleased to have found Kulanu Canada, so that my efforts can reach out and have a direct effect on Jewish communities throughout the world, especially where mainstream Jewish support is not available. As an educator for most of my working life, I look forward to bringing those skills to our work at Kulanu Canada. I had the good fortune to connect with the little-known Beta Avraham Ethiopian Jewish community when I was in Ethiopia in 2014. Members of that community, who have for generations practised in secrecy and isolation, welcomed me into their midst, eager to make contact with other Jews, anxious to learn about contemporary Jewish practices, and determined to make connections with the larger Jewish world. It was there that I first heard about the work of our sister organization, Kulanu Inc. in the United States. I was immediately intrigued, eager to learn more, and hopeful that there might be ways that I too could contribute to isolated and emerging Jewish communities around the globe. When I was studying for a graduate degree in anthropology and doing field work in Antigua, I was astonished to learn that Jewish communities were established in the Caribbean from the time the first Spanish sailors landed. My interest has grown over the years, so I was delighted to hear about Kulanu. As I found out more about the organization, I was impressed by its commitment to provide support in ways that respect diverse cultures. I’m eager to do what I can to help those who are determined to practice their Judaism, whether they have been isolated, or have had to hide their religion, or are discovering Judaism for the first time. My commitment to and interest in Kulanu stems from several things that are important in my life. Though I was raised in a Jewish home, I have spent the last decade trying to find the right fit for my Judaism and my values. 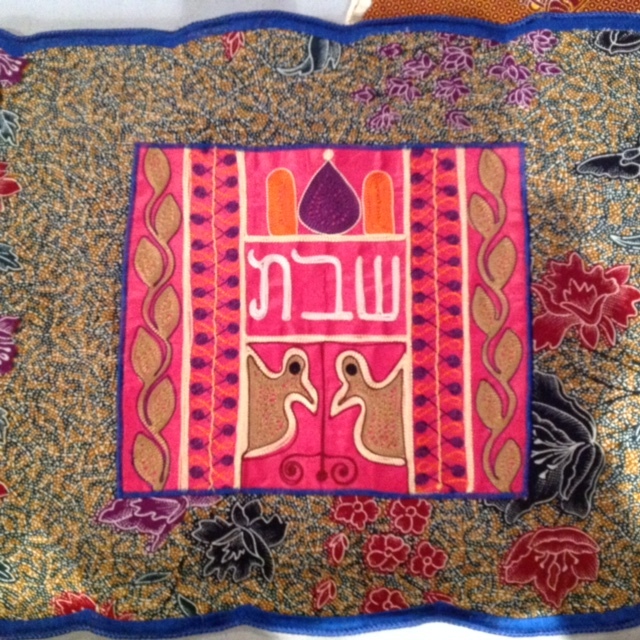 My journey taught me that Judaism can be expressed in many ways. Another part of my life has provided me with opportunities to work in many parts of the world with an emphasis on Asia and Africa. Through my work I have learned that different cultures have much in common and yet much that is uniquely expressed. My involvement in Kulanu allows me to bring together my Jewish values and my world view. My involvement in Jewish diversity followed years of travel from the Canadian Arctic to Africa and Israel. I read about Kulanu on line in 2007 and invited the founding president, Dr. Jack Zeller, to speak to our congregation, Darchei Noam. I have since served on the Kulanu board as a Canadian member, and in 2012 I began the process of incorporating Canadian Friends of Kulana, which has become Kulanu Canada. We engage Toronto’s Jewish community to help isolated and emerging Jewish communities so that they can be fully educated and integrated into the global Jewish world. Over the years, I have worked in Africa, South America, Eastern Europe, and Asia. I had the opportunity to visit small and isolated Jewish communities, and to see first-hand their struggle to maintain a meaningful Jewish life. While working in Suriname, I decided to get involved in supporting the small local Jewish community, the oldest existing Jewish community in the Americas. Being part of Kulanu Canada is an opportunity for me to help other small Jewish communities around the world meet their unique needs.